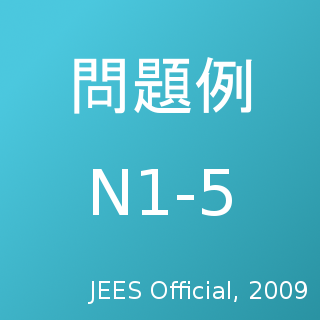 Before the first year of the revised JLPT exam, people were scrambling to find materials to study with. 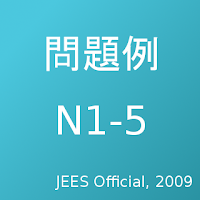 In anticipation, JEES arranged for the release of practice problems similar to what might appear on the new N1-5 style exams. These problems were made freely available as PDFs and have been mirrored in dozens of locations online--you may have encountered them before, but if not, they are worth a look in your studies. They include examples of all the different test sections for all levels of the test, and they even include audio files and sheets to mark your answers on akin to the real exam answer sheets. (The answers to the problems are provided as well, in separate PDF files.) You can still find all of these files at the official JLPT website. If that link no longer works, however, you can find the same PDF and audio files mirrored at Tanos.co.uk.